Remember two months ago when you stayed up for 24 hours to watch some racing in the rain? Just like you we’re always up for some great racing, and that’s why we partnered with blipshift and RACER Magazine for the Open 24 Hours Tee Design Contest. There were scores of enduring entries, showing that you felt it in your hearts and in your souls, but only one entry can take the checkered flag in first! That prize went to Chris H! His winning entry earned him a seat at a One Day Skip Barber Racing School valued at $1,995! Nice work Chris! 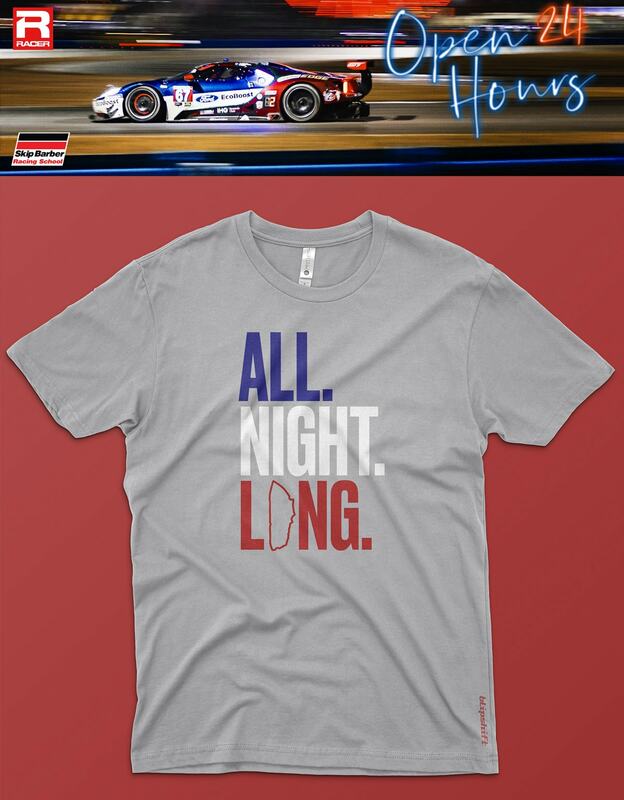 “All Night Long” is available now at blipshift along 25+ other track-tastic designs in The Apex Everything Sale thru Monday, April 1 at 11:59 PM ET.